Save 78% off the original price! Amazon has this Enchantimals Frozen Treats Truck + Preena Penguin Doll & Jayla Figure for only $7.80 (Regularly $34.99). 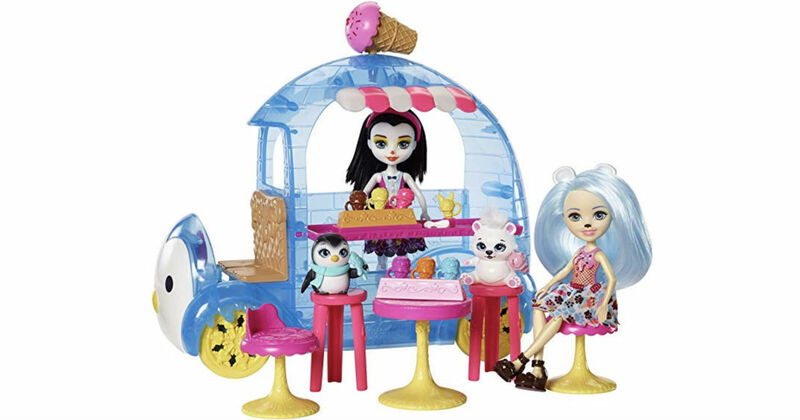 These Enchantimals friends are ready to sugar-coat the forest with icy cool treats in their igloo-shaped ice cream truck.